Custom gear in 2 weeks, with no minimums, from stores that never close! Whether you're an Admin, Coach, Parent or Player, SquadLocker's online gear solution is revolutionizing the way leagues, teams and fans get their custom apparel and uniforms. No more forms to complete, sizes to collect, or checks to chase. 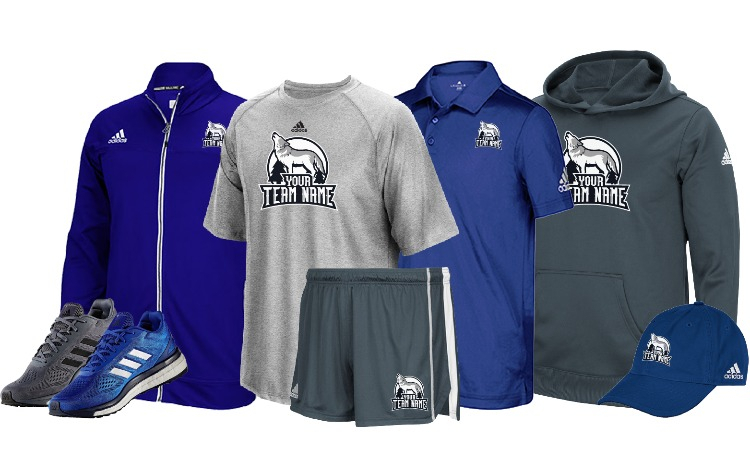 Your free gear store can be launched in just minutes, loaded with your choice of over 60,000 items from brands like Under Armour, Adidas, Champion, Nike, Gildan and more - all decorated with your league or team logo. Don't have a logo? We'll create one for you for free. Need fundraising? Click a button to begin earning for your program. And best of all, your custom gear orders are shipped in 2 weeks or less, with no order minimums, from stores that never close. That's right, 24/7 shopping, with customer service 7 days a week and the best return policy in the industry. You'll have total control of your store, branding, and products, and it's all free. Simply upload your logos, launch your store, and share. Looking great has never been so easy.